Shanerock is a charity that focuses on providing care, resources, and equipment to local families who are battling pediatric cancer. Watch and read about Eric & Amy discuss the Shanerock Foundation. Shanerock would like to thank you for an amazing 2018! The need of families battling pediatric cancer and dealing with the many challenges that pediatric cancer bring with it continues to increase. Since 2016, Shanerock has granted approximately 70 local families more than $75,000 in assistance! With the unfortunate but growing need for Shanerock’s important mission, we have decided to discontinue our annual St. Baldrick’s event. 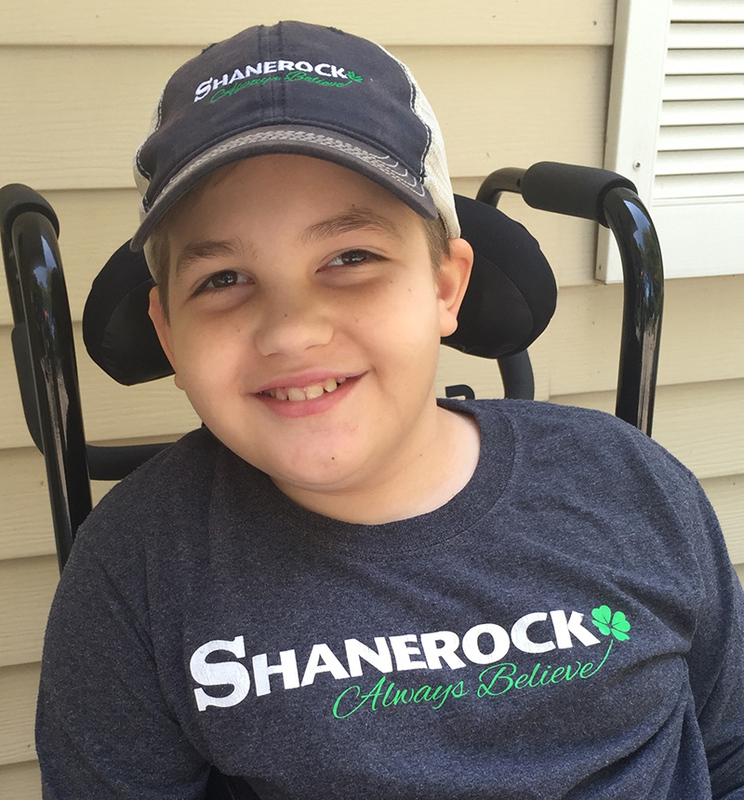 The necessity now exists more than ever for us to center more intently on the fundraising efforts that directly impact Shanerock and the families it serves. In 2010, Shane Haddad was diagnosed with brain cancer at the age of 3. Shane's parents, Eric and Amy Haddad, have helped fight this battle with Shane since he was diagnosed. Eric and Amy understand the challenges that families face when people have a child living with cancer. Out of love for their child and seeing firsthand how difficult it is to try to live as normal a life day to day as possible with the challenges this disease brings, the Haddad family set out to find ways to support others dealing with these same adversities. Thus Shanerock was established as a 501(c)(3) that focuses on supporting local families who are battling pediatric cancer. Shanerock also supports and partners with other non-profits and joins with them in the fight against pediatric cancer. living with cancer who is in need? Shanerock Run a 5k and 1 mile run presented by St. Ignatius High School to benefit the Shanerock. Learn about our events to help raise awareness and money to support families with a child battling pediatric cancers. Get some great Shanerock merchandise and support our cause. Contact us to inquire.